Ok guys, it took a little longer than I wanted, but I've captioned all the photos on this post! 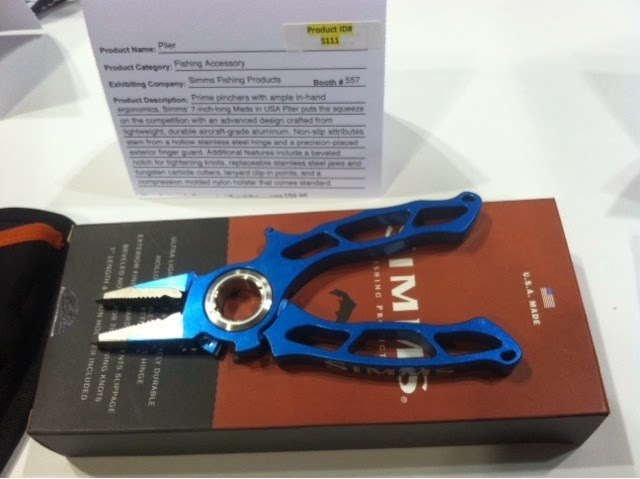 There was some really interesting new gear at the iCAST New Product Showcase. Just let me know if you want any more information on any of the products, I plan to put up a few product specific posts of the items that really caught my attention. 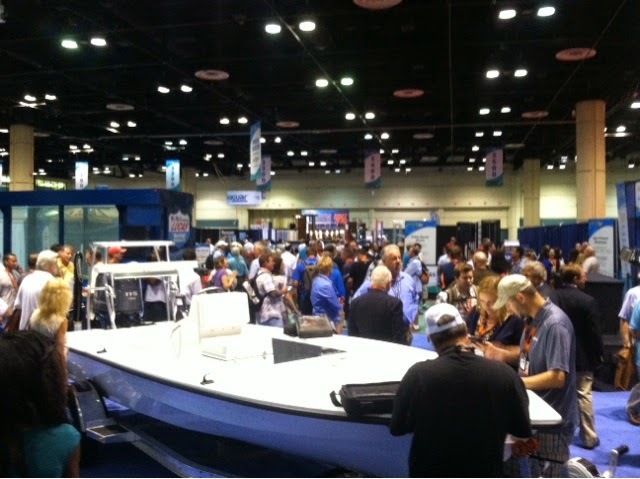 I'm in Orlando, Florida attending iCAST and IFTD as a media representative for The Suburban Angler. I've been posting pictures to Instagram as I take them, I wanted to make sure to get them on the blog as well. I'll try to come back and caption the photos later, I'm without computer down here(!!!) and blogging from my phone has its challenges! This first group is from my campsite and the New Product Showcase Media Preview last night. Enjoy! 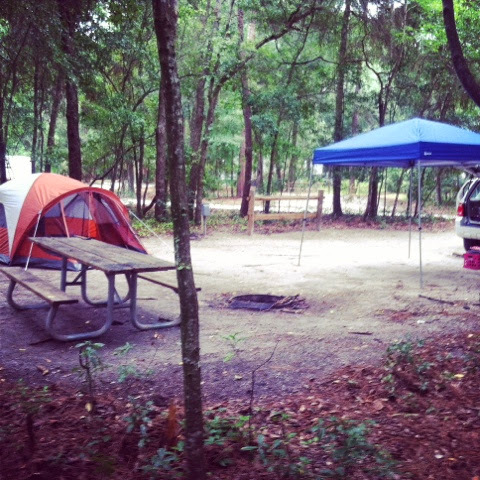 Site 53 at Wekiwa Springs State Park, a very nice campground that I will have to go back to. 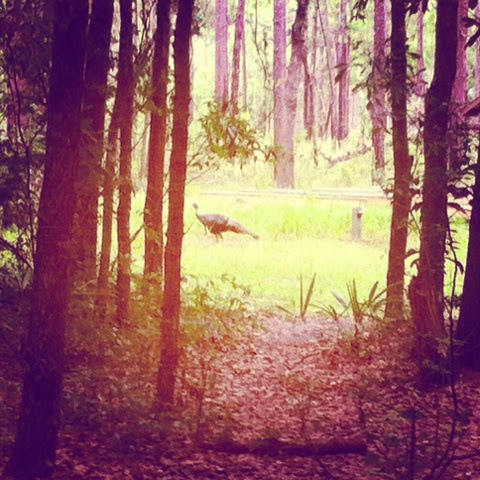 Two Tom Turkeys walked through the grassy area behind my campsite as I was setting up. 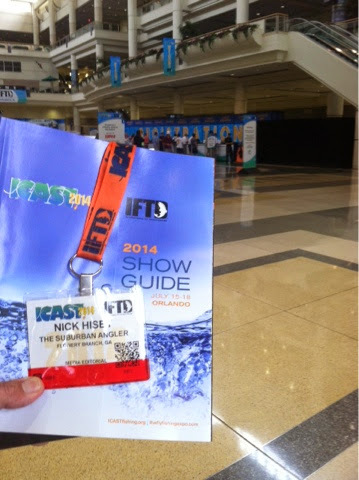 Made it to iCAST and IFTD 2014! Made it through the first door. Everyone gathered here to be welcomed before going into the New Product Showcase. 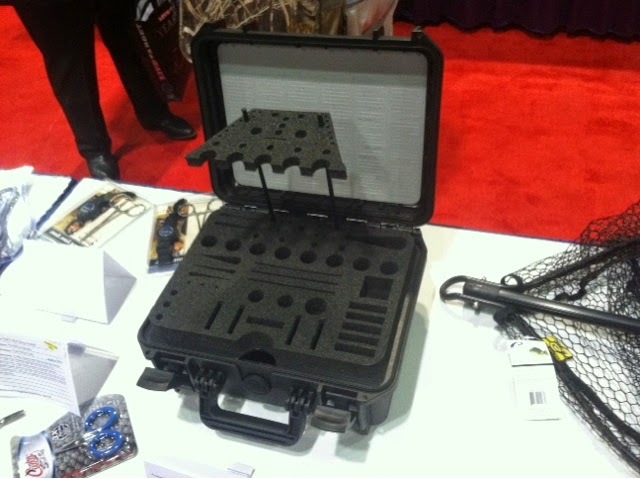 The Old Town Predator XL with optional integrated electric motor. Seems to take the romance out of kayaking! 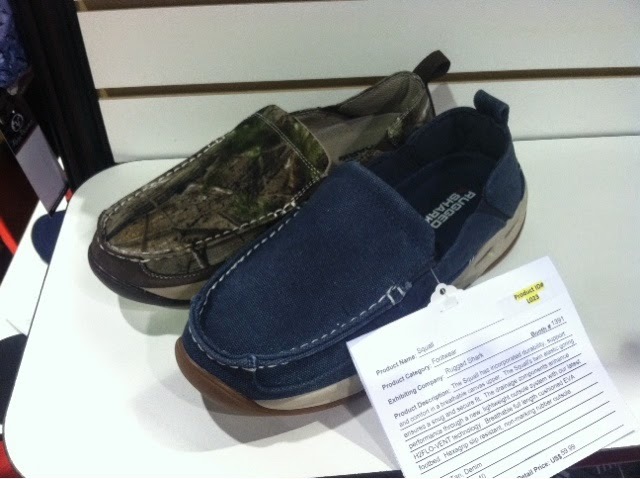 I liked these loafers from Rugged Shark. The description promises full support for your feet! The M2300 Fly Caddy from Panaro Plastics. Waterproof and dustproof to keep your tying materials dry after shooting rapids! 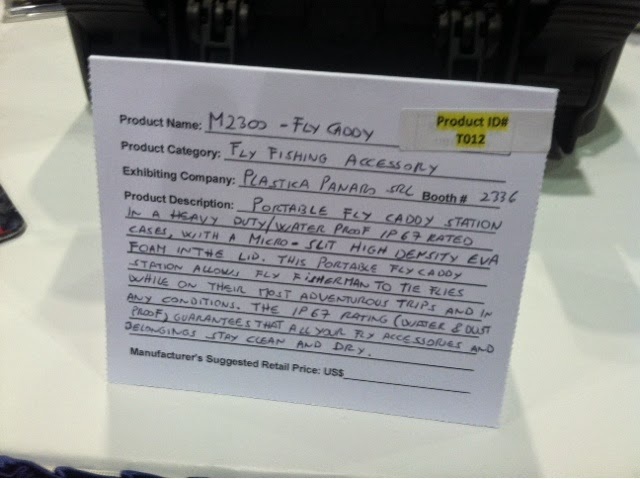 The description card for the above caddy. There was a really good feel to these new pliers from Simms. U.S.A. Made = Bonus Points! 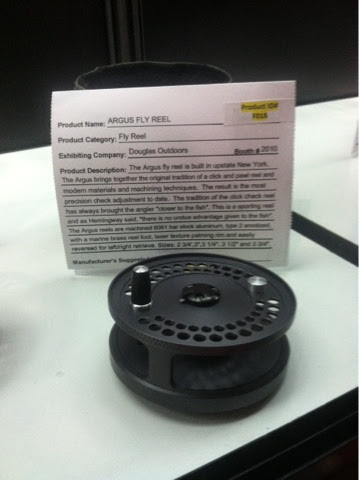 The Argus Fly Reel from Douglas Outdoors. Great feel, traditional styling, U.S.A. made and not shiny so it won't spook the trout! SO COOL! 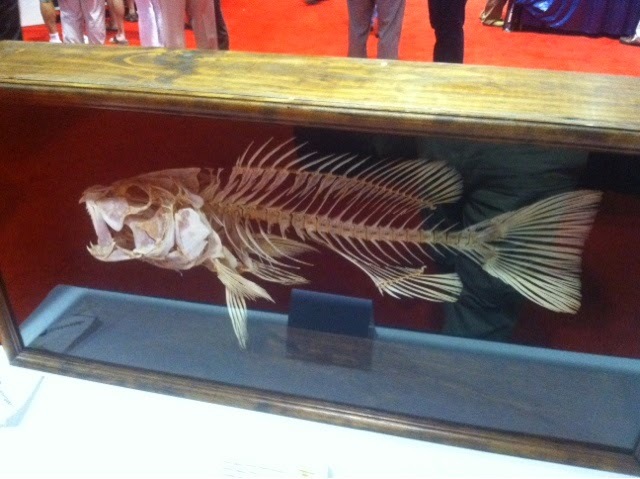 Helter Skeletons rearticulated fish skeletons in the Gifts section. 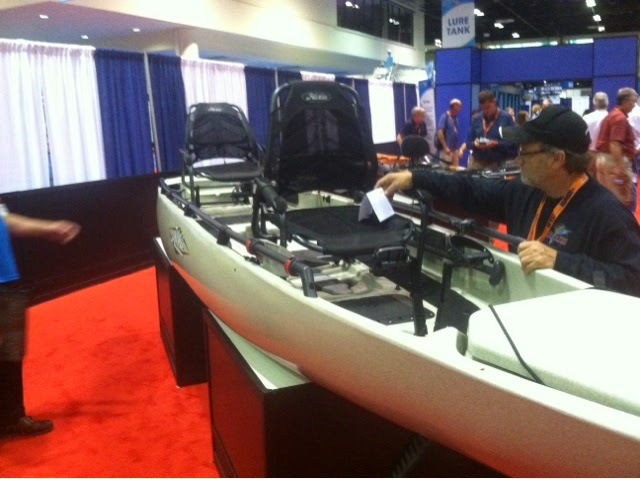 The new tandem kayak from Hobie. 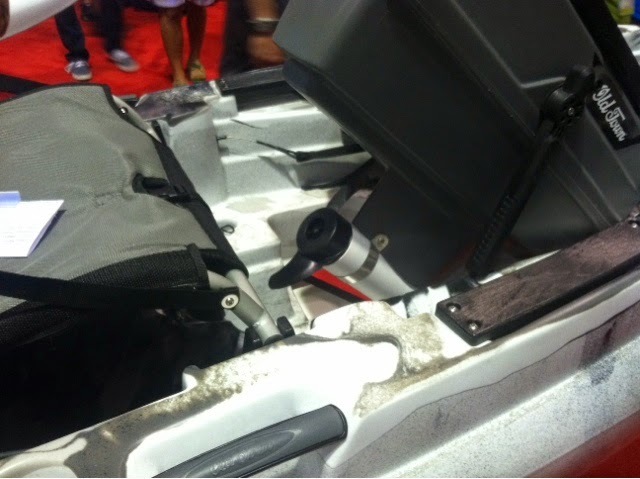 It has the famous Mirage Drive and can be configured for solo, tandem or "social" kayaking! LiT Industries LiT Cooler. 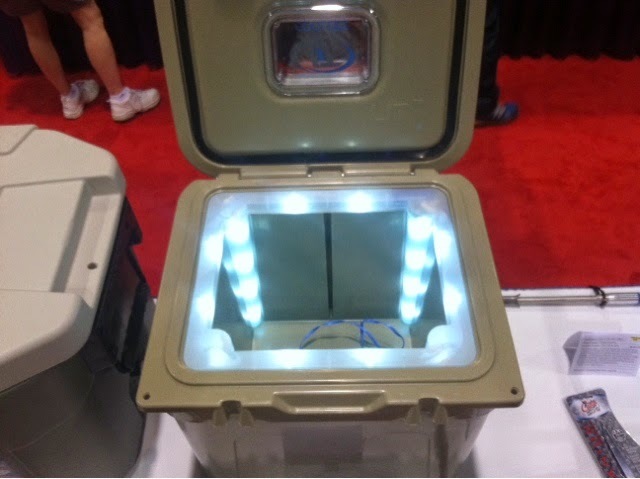 Awesome idea putting LED's through the cooler. Makes finding that last beer a little easier in the dark!